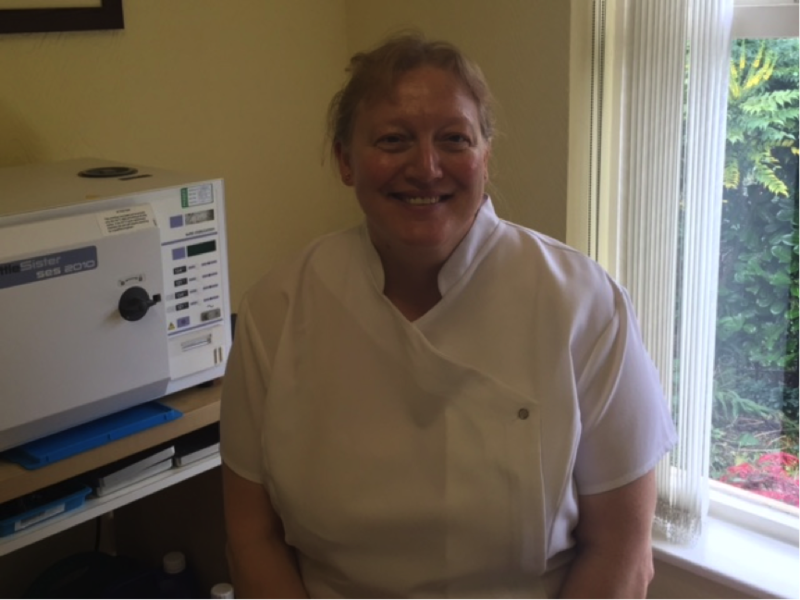 Here at Parkview Chiropody, we aim to provide the highest level of care, using high quality products and equipment in a pleasant, comfortable environment. We provide a consistent standard of practice and our conscientious approach has enabled us to build a well established clinic which has flourished over the past 25 years. We believe in preventative foot care, giving clients clear advice and recommendations on how to keep their feet in optimum condition to maintain their mobility and therefore fitness levels. Our equipment is up to date and well maintained, with disposable and sterile instruments and consumables always being used. We have full respect for client’s privacy and uphold confidentiality at all times. Our podiatrists are fully qualified and registered with the Health & Care Professions Council (HCPC). They regulate health care professionals to ensure they meet the standards for training, professional skills, behaviour and health. I have always enjoyed a career in the medical profession, I qualified in 1978 as a registered nurse and thoroughly enjoyed working in general surgery and at the cardiac care unit at what is now the Salford Royal Hospital. A chance meeting with the head of podiatry gave me the help and encouragement to embark on a new career and I decided to retrain as a podiatrist. I founded the Parkview practice 25 years ago, this has now grown to three clinics and a team of 4 who have the same beliefs and ethics as myself, which is always to have a kind and caring approach to everyone we see. I feel privileged that I am able to do something that I enjoy immensely and which makes a difference in the local community. My professional philosophy is to take a holistic approach to the client. In my experience, if a client’s feet are comfortable and maintained to their best standard, they are more likely to be mobile and therefore able to maintain their activity/fitness levels, which in turn improves general wellbeing. This can be applied at any age, from treating athletes with injuries and busy people wearing heels, to keeping the elderly mobile and independent. Our practices go from strength to strength as we continue to work in a genuine and conscientious manner. This enables our clients to continue to have happy and comfortable feet and return to us for treatment. Since leaving college, I focussed predominantly on academic study, firstly I completed a law degree at Liverpool Law School, and after deciding I did not wish to pursue a career in the field, I decided to follow in my Mum, Caroline’s footsteps and trained to be a podiatrist, a career that I knew plenty about and had always been interested in. A more practical, hands–on style of work which helps people appealed, providing me with a worthwhile and rewarding career. I have always been involved in the practice, helping with secretarial duties for example which meant I already knew many of our clients. After graduating, I joined Parkview, sharing the practice with Caroline. We are able to deliver a wide range of services, each with our own special interest in certain problems related to the feet. Areas of interest to me include diabetes and rheumatoid arthritis, these conditions can adversely affect the feet, meaning it is important to arm the patient with as much information, support and advice as possible. In 2009, we expanded our podiatry services to TESCO in Horwich, this broadened our scope of locality greatly, attracting clients from all over the Bolton and Wigan areas due to its handy location at junction 6 of M61. We have since relocated our popular clinic to the Bolton Arena. I’m enjoying establishing long-standing relationships with clients myself, gaining satisfaction from improvement in their foot health with regular care. I have been a registered Nurse for the past 30 years in the Bolton area. I have specialised mainly in Orthopaedics – deformities or functional problems with the skeletal system. This meant that I became very familiar with the foot and lower limb due to the high number of patients with things like knee or hip replacements and foot surgery. This special interest lead to me to qualifying at Salford University in Podiatry. I enjoy the personal one to one contact with clients which allows a rapport to be built with people as you help improve the condition of their feet. I strongly believe if your feet are comfortable, it improves your general wellbeing and mobility, whatever your age. I also have a special interest in complimentary therapies, including reflexology, aromatherapy, Swedish massage and Indian head massage. These skills combined with my expertise in the functionality of the lower limb means I can offer a holistic approach to providing podiatry treatment to clients.